I love silver-bordered sets. I am exactly the target market for Unstable, because if you’ve got some weird way to play this game, I’m all over it. I’ve enjoyed all of my experiences with Unglued and Unhinged and I’m fully expecting to enjoy Unstable. What needs to be said is that from a financial standpoint, there’s some very specific ideas to keep in mind as you pre-order Unstable and decide if you want to speculate in this market. I have been there, and I’ve got some insights that you should heed. Unglued was printed in August 1998, about five years after Magic’s debut, in the time between Exodus and the beginning of Urza’s Saga block. Unhinged was printed in November 2004, during Kamigawa block, one of the dips in Magic’s popularity. I don’t think it’s an exaggeration to say that Unstable will be printed and sold at a much greater rate, I’d guess somewhere in the 10-20x range. There is going to be so much more of this set, and even though we have mythics now, we are really lacking in iconic callbacks and inside jokes. Big Idea #2: Who’s this for? Unstable is aimed at people who want Magic to be weird. Unusual. Unexpected, random plays. This is not everyone, and that’s also going to contribute to the supply being quite significant. Anyone who wants Unstable will be able to get it, because people with a competitive focus are going to ignore it. When a sizeable piece of the market ignores a product, pay attention. Not a lot that’s worth it, in nonfoil. 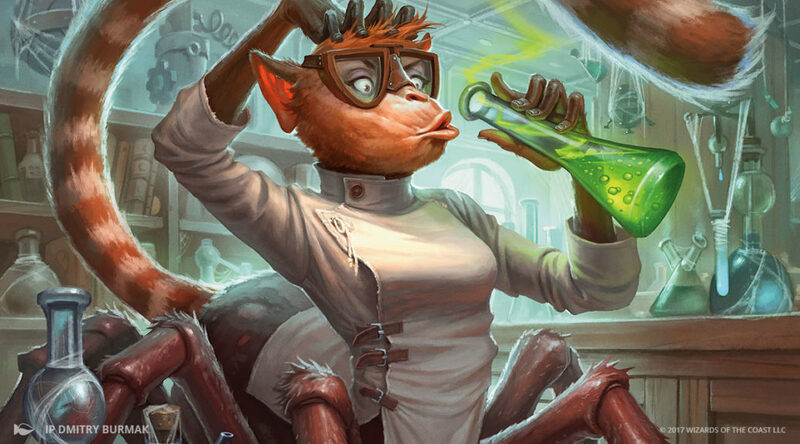 At the same time, though, Unstable is really going to appeal to some people and some playgroups. People who don’t who to their LGS might pick up an extra box or two just to draft it with their friends. Maybe this is the perfect holiday gift! I am trying to keep my own bias in check here. Unstable is not going to be available online. I want to say that means more gets bought, but there is a very good chance it ends up like Conspiracy 2 and its super-top-heavy in prices. There’s one land per pack, in a box of 36 packs. One in every 121 lands will have a Steamflogger Boss, apparently. That’s pretty guaranteed value, and that is unusual for Magic. 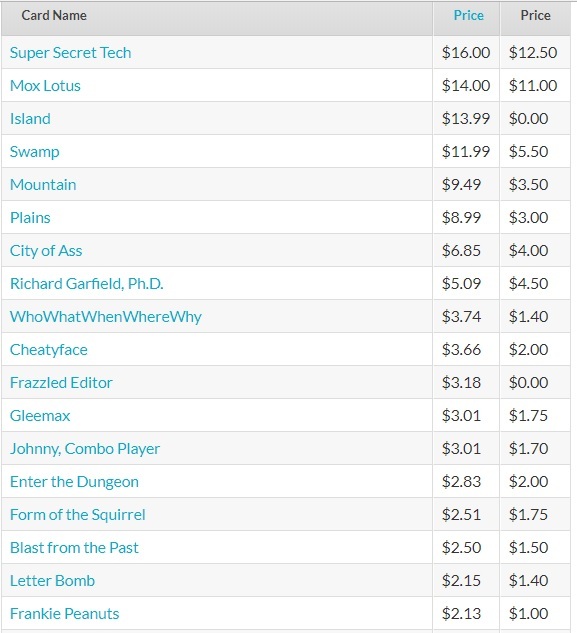 If the lands are selling at $2 each from your store, they are getting boxes for around the $72 worth of lands they will get, and that’s before you get to the foils or chase cards. Now THESE are some chase-worthy prices! If the land price is down at $1 retail, boxes won’t get cracked. If it’s at $2, then there will be stores cracking packs just for the land, and that will flood the market with every other card. I don’t know where these will end up long-term, but I know that for the next few months, lands won’t be over $2. With this set, you can hit BIG. You can get a box on eBay for $90, and there’s two foil mythics that pay for the box and then some. Several others will cover half the value of the box, and there’s $2 Serum Visions at uncommon when you’re mining for value. Unfortunately, the average box is worth less than that $90, and it’s not worth the risk of opening a foil Berserk and nothing else in your 23 other packs. Unstable offers 36 lands, 35 if you’re unlucky. If those get as high as $3 retail, you will be able to buy a box and get your money back just by selling those basics and the rest is extra value. That’s for us, but if you’re a big store who gets boxes cheaper, then the retail needs to be lower for it to be worth it to them. I think the supply will be plentiful for 95% of the cards in the set. This is going to be printed a whole bunch, and there’s a built-in mechanism for keeping the prices of lands in check. There isn’t much that will hold a lot of value. I want to say that some of the unique things will be valuable, especially in foil. They might be worth a few bucks, but the market is pretty soft for such things. 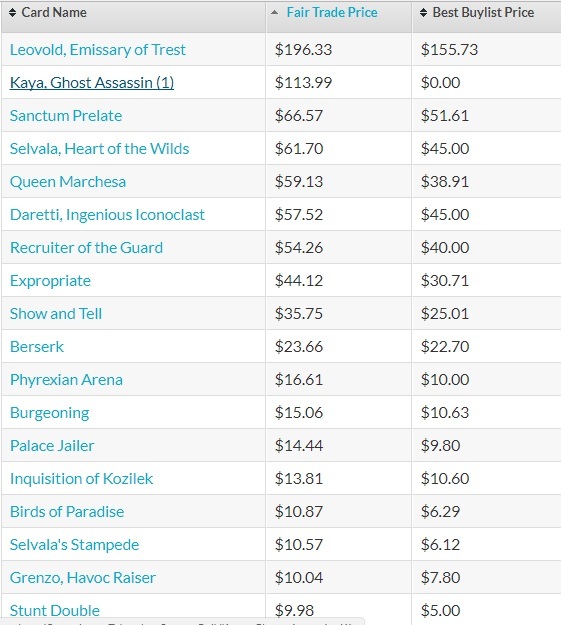 Don’t rely on unique cubes to drive the price of Contraptions in foil or nonfoil. 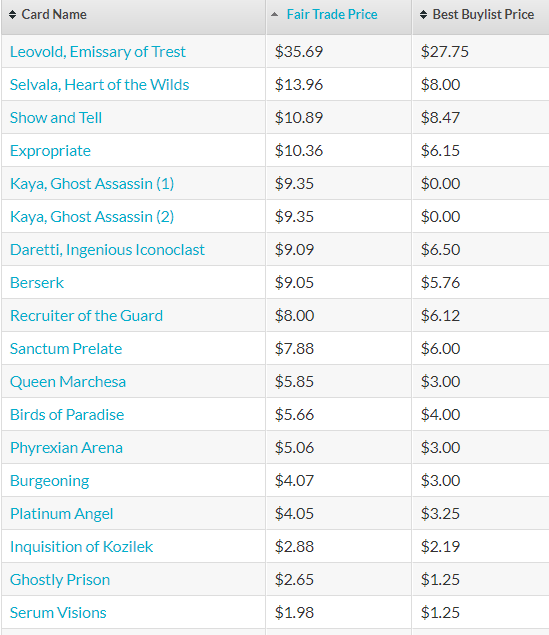 I have about twenty foil Cogwork Librarian that I picked up between $2 and $4…and it’s still about $2, three years later. The demand from cubers just hasn’t materialized yet…and likely never will. Crow Storm foils will be valuable to some people as an inside joke. Most people won’t care. Some people will want a foil set of Unstable, and that’s a small part of the playerbase. 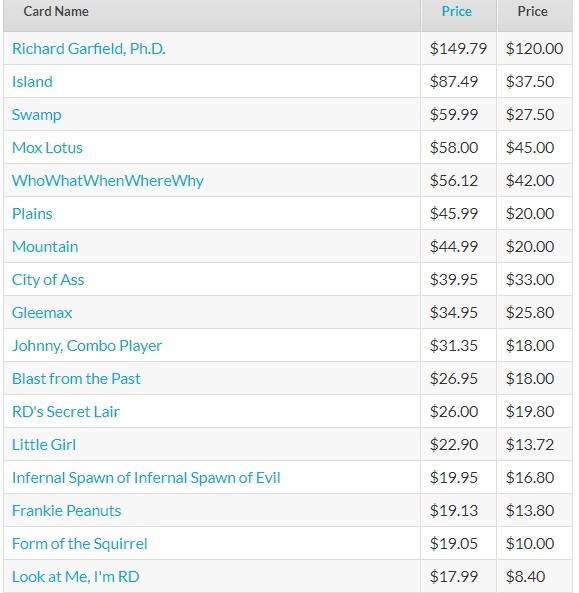 The crazy-high foil prices for some Unhinged cards is entirely due to the relatively small amount that was printed. I surely have a pair of foil Little Girl because I have two daughters, and enough MTG dads feel the same way to push that to be a $20 foil common. I’m looking at you, Summon the Pack. You’re not going to fool me. Really, there’s only two cards that have the chance to be iconic, and I think that supply is going to impact these cards and keep the prices low: Urza, Academy Headmaster is exactly what an Un-card should be, and that’s before we even know the abilities. If it had a different name, I would be all over Super-Duper Death Ray as a spec target, as this looks like it could be a real card. We’ve already given spells lifelink, why not trample? The name turns me off, though, so I think we will see this printed in a future set as Char-Broil or something generically red. So don’t go crazy on the finances of this set. I don’t think it’ll be there in the long term, and if you want something from Unstable, definitely give it a week or two and see where the nonfoil basic lands end up in price. Cliff has been an avid player of silver-bordered sets and any unusual way to play, most especially Momir Basic, perhaps the biggest bang for your buck and the best reason to keep MTGO the way it is. Follow him on Twitter @wordofcommander or catch his articles every Friday!